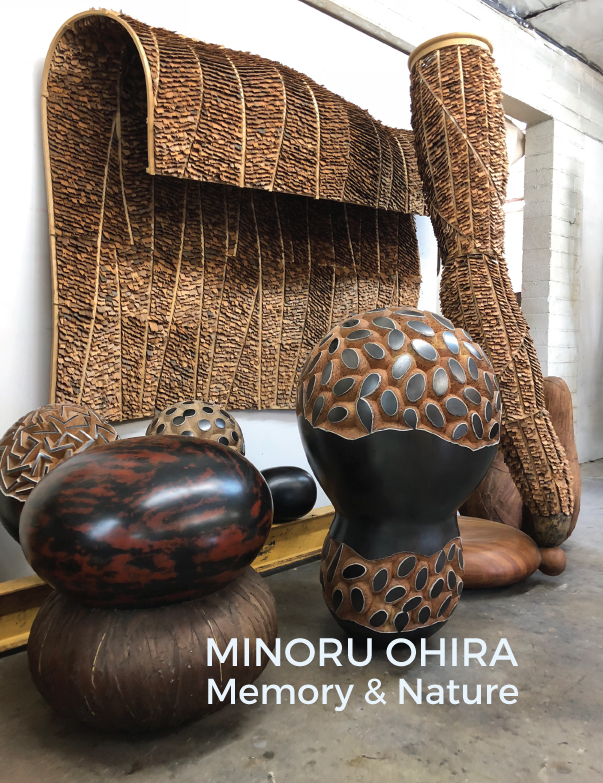 Palos Verdes Art Center is pleased to announce Memory & Nature, recent sculpture by Minoru Ohira. Composed of wood, granite, graphite, and resin, his forms are abstracted from the human body as well as vegetal shapes, filtered by the traces of memory in a process of meditative carving. Trained in the classical western art tradition with a studio practice in marble sculpture at Tokyo University of the Arts, Ohira furthered his studies with post-graduate work at La Esmeralda, Mexico National Institute of Art in Mexico City, before moving to Los Angeles where he has developed a unique method of constructing large wood sculpture utilizing found objects, including downed branches and construction waste. Ohira has exhibited extensively at galleries and museums in the US, Mexico and Japan and is in the collections of The Hara Museum of Contemporary Art (Tokyo), the Honolulu Museum of Art, the Long Beach Museum of Art (Long Beach, California), the Los Angeles County Museum of Art, the National Gallery of Thailand (Bangkok) and the National Museum of Art in Mexico. In 2013 Ohira was the recipient of the prestigious 26th Denchu Hirakushi Award for the art of wood carving. In 2009 he was awarded the 36th Teijiro Nakagawa Award, the first artist residing outside Japan to be honored with the award.